out september 18th via hit city u.s.a.
the debut full-length from oakland-based outfit astronauts, etc. pairs well with coffee. not a specific roast, necessarily; more so with the routine of brewing it. the opening third of mind out wandering begins rather placid and resolute, relying on organic textures and steady tempos that feel like analogues to slowly becoming alert and absorbing surroundings in the early morning. push on to the middle chunk of the album for the brew cycle itself and initial ingestion; the psychedelic one-two punch of “eye to eye” and “shake it loose” is akin to a full-frontal caffeine assault. by the time the woozy guitar-keyboard tandem melody in album closer “upward swing” hits, the coffee’s warmth and aroma have permeated through the consumer’s body, and all that’s left are the dregs at the bottom of the cup, swirling in time at thirty-three and a third revolutions per minute. a less circumstantial analogy finds mind out wandering mirroring anthony ferraro’s maturation and confidence as a songwriter. the album moves logically and purposefully from the comforting confines of his native acoustic piano to full-band textures and outward into the realm of psychedelia. whether or not these songs are presented chronologically is ultimately inconsequential, however; the comparative sparsity and methodical build of the album’s opening numbers is precisely why “shake it loose” feels so explosive, and why a return to that initial structure on deep cut “control” yields a new, enjoyable set of nuances. astronauts, etc. thrives on a strong formula that’s equal parts melody and nostalgia. ferraro’s lead vocal often warbles high above the mix, weaving in and out of instrumental motifs and often supplementing their potency, but the moments when he retreats from the stratosphere are adventurous as well, lock-stepping with his bandmates to create absurdly tight harmonies. the swirling electric piano pads and bell tones throughout “see you” are indicative of the band’s dreams of yesteryear, though they feel like less of an appropriated celebration and more of a necessary extension of ferraro’s identity as a singer-songwriter. 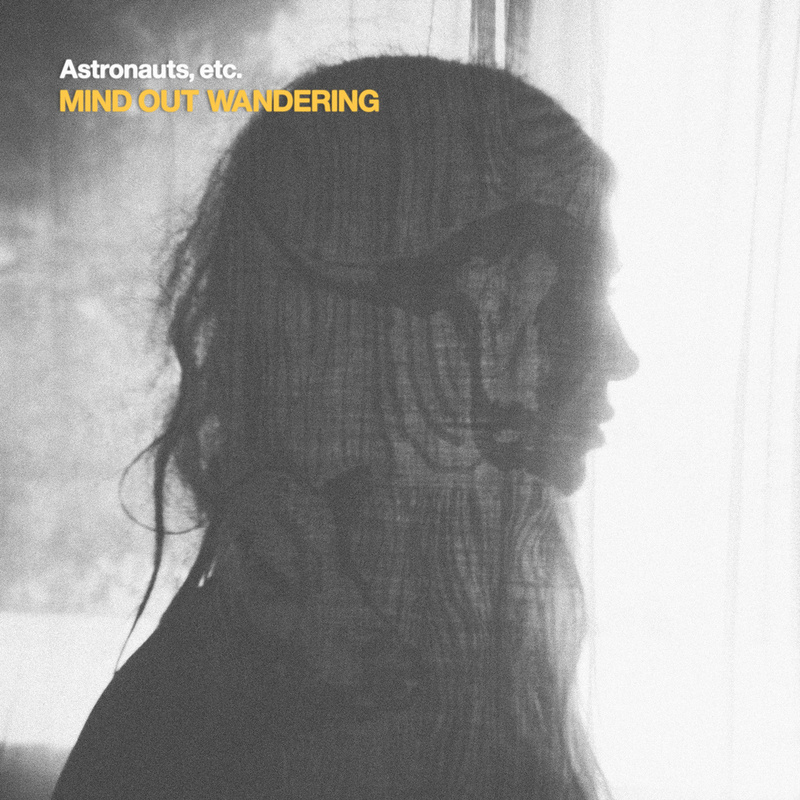 mind out wandering is one of those albums that gets filed in the “very good” category next to “lazy mornings” and “warm feels.” go listen to it.